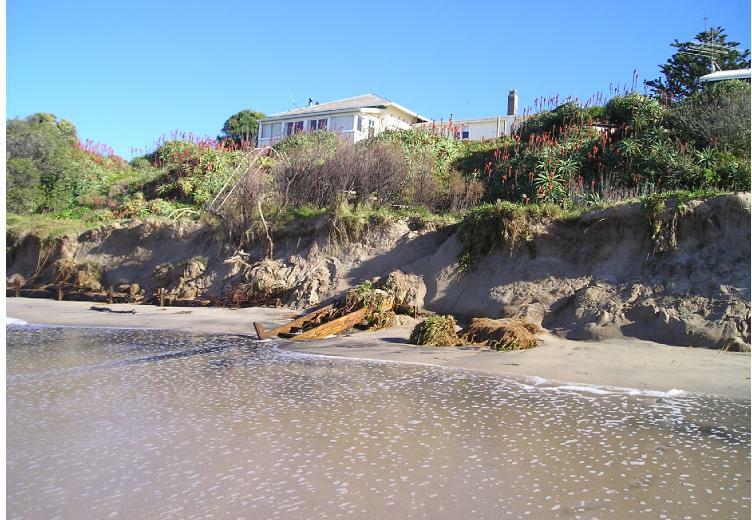 Wainui Beach Erosion - accelerated by subdivision stormwater? Wainui/Okitu Residents & Ratepayers Association Inc. (www.wainuibeach.org.nz) sent a set of very good questions to all city ward candidates to respond to – below are my responses. This community has had a difficult time dealing with GDC over the years and a lot of goodwill has been lost – I hope it is starting to be rebuilt and that a new Council can make a much better effort to listen and respond in supportive ways to the wisdom and priorities of neighbourhoods, villages and communities. 1. Wainui/Okitu has been noted for its existing special character. What do you think of Wainui/Okitu’s unique character, and what would you do, as a Councillor, to enhance, nurture and protect this asset? As a Councillor I would support the development and ongoing monitoring and review of medium and long term community plans for Wainui/Okitu and Makarori that would be determined through a participatory, consensus-building process by the residents of these communities with support from GDC staff and other stakeholders including DOC, NZTA, local hapu, local business owners, etc. I have been working with Jennie Harre-Hindmarsh, as a representative of the Wainui/Okitu Residents and Ratepayers Association Inc., and GDC staff on the development of a set of Guidelines for Public Engagement processes for GDC. The current Council rejected the need for such a project but senior GDC staff and communities around the region recognise the importance of making significant improvements in the way Council works with residents and stakeholders so the project is continuing. Having a clear set of Guidelines that are developed with the input of interested residents and ratepayers can provide a valuable mechanism for citizens to hold staff accountable to as we collectively seek to enhance, nurture and protect the areas we live in. Wainui/Okitu has a unique set of challenges including pressures on land and waterways from higher density housing and farmland converting to residential properties, coastal erosion, increased logging trucks travelling through the community, large fluctuations in property prices and rates, and a history of being treated badly by GDC and other agencies like NZTA – all issues that I would be keen to learn more about and help residents find sustainable solutions for. 2. What are your views on development in Wainui/Okitu? High Rises? Infill Housing? Section Sizes? I would be keen to hear more about local residents and landowners views are on future development. I know the development up Lysnar Rd has been controversial and unpopular amongst many Okitu locals. As mentioned above I think there needs to be much more local control over development plans, the ability for residents to retain the special character of their community and the ability for residents to be assured the benefits of any new development outweigh the cost to their local environment, social, cultural and economic wellbeing. I grew up in Tauranga and have witnessed the transformation of Ocean Beach at Mount Maunganui, and in fact, all around Tauranga habour and beach coastline in a very short space of time. Many public recreation and water access points are now shut off from locals. At the Mount there are horrendous high rise apartments that have turned a sleepy strip of holiday bachs into a playground for the very wealthy after they pulled down an iconic hotel and hundreds of humble holiday homes. A few individuals with significant influence in local government made a lot of money out of those changes. I doubt this is the kind of direction Wainui/Okitu residents are keen to see your community go in. My uncle John Minogue bought a small house at 52 Douglas St in the 1970s and built another house on the property a decade or so later. I don’t think it looks too bad but I’m not sure Wainui/Okitu people would want to see any smaller sections than that example. Again, I think the important thing is that local residents reach agreement on what you can live with and that should become the plan governing development in your community until there is consensus to change it one way or another. 3. What would you do as a Councillor to encourage the development of the cycleway from Wainui to the city? I will continue my involvement with the Cycling Advisory Group that I was part of establishing last year and my subsequent involvement on the Gisborne Cycle and Walkway Trust that I have recently been invited to be the Council representative for (a bit premature but I accepted on the condition I am elected!). The latter group has worked hard for many years to see the Wainui cycleway established and we need to step up the campaign to make NZTA funding for this cycleway an election issue for Anne Tolley now! The change in public policy this year by the National-led coalition government was a disgrace as the funds tagged for the Wainui cycleway were diverted to “roads of national significance” in the major centres including the ‘holiday highway’ north of Auckland. The trucking lobby are significant donors to the National Party and have had a big influence on public investment in roading. We need to join with other cycling advocacy organisations around the country and groups like the Campaign For Better Transport to make cycleways much more of a priority for roading funds. More cycling in the city has to be good for everyone (other than the multinational oil companies). We need much more strategic and vocal leadership on this issue and we need it now. 4. What do you know about the effects of subdivision water runoff to the beach. What is your position on this? I am aware there are significant concerns about the volume of water flowing from the new Sponge Bay development into the Wainui Stream. My understanding is that the official GDC view is that the rate of flow is no more than it was before the subdivision was installed because the size of the pipes restrict the rate. Pictures I have seen suggest there is a significant increase in volume and while the rate may be the primary determinant on erosion, if there was erosion anyway then increased volume, regardless of rate, will accelerate the erosion. Now there are concerns about the new subdivisions on the hills above Wainui/Okitu and up Lysnar Rd. I have received copies of the Environment & Policy Sub-Committee agenda and minutes for the past few years and read some of the staff reports on efforts to “naturally protect” the stormwater runoff from the Sandy Cove development in the “Schools” carpark on Wairere Rd. I have had a look at the carpark and ponding process after recent rain – it looks to me like it is probably eliminating erosion that would otherwise have occurred, but I would be interested in how well residents feel it is working. I agree with local submitters on the proposal that developers should definitely have to contribute to the costs associated with this kind of work if it is to prevent environmental damage attributable to their business activity of property subdivision. 5. Are you in favour of Wainui/Okitu being a ward in its own right and having its own Councillor? Generally I am a fan of local wards. I would support taking Wainui/Okitu out of the city ward and establishing a ward that incorporates something like Makarori, Okitu, Wainui, Sponge Bay, Wheatstone Rd and the new subdivisions on the hills above Wainui/Okitu as I would support at least two wards (or Councillors) for Kaiti/Tamarau. If this did not happen I would support the establishment of a formal Community Board for Wainui/Okitu that has its own budget to manage on behalf of its community. I also support a reduction in the number of District Councillors to 8-10 in total instead of the 15 we currently have (including the Mayor). 6. This Association was formed to collaborate with the GDC and inform the Wainui Residents and Ratepayers on issues affecting them. Would you support our Association in this role. If so, in what way? I helped establish Ka Pai Kaiti ten years ago, this group has similar aims and objectives for Kaiti as your Association does for Wainui/Okitu. 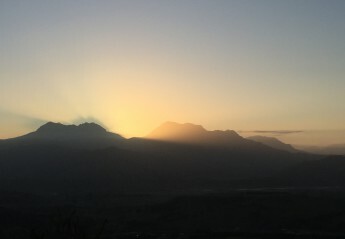 I have been disappointed with the lack of mutually meaningful engagement between GDC and Ka Pai Kaiti, while I think we have been able to significantly influence GDC thinking and some priorities, it has been much harder than it need to have been if Councillors had a different attitude to their governance role. My political philosophy requires elected local government officials to not just ‘represent’ their constituents and to make decisions on behalf of everyone else, but to actively involve people affected by decisions in deliberation on the issues and in the decision-making process itself. I think Gisborne has the potential to be an international leader in participatory local government and I would like to see residents associations for every geographic community that chooses to identify itself and establish a group to coordinate and communicate within the community and with external stakeholders including local authorities. I would see GDC providing proactive and strategic support for the establishment, growth and maturing of residents collectives and associations as a priority issue for my time in office if I was elected. New technology provides many opportunities for developments such as participatory budgeting, e-democracy and community asset mapping. I would advocate for GDC to seek significant external investment from central government, philanthropic foundations and private business to accelerate our progress toward a far more participatory model of local governance, community development and resource management. There are a wide range of options for increasing residents influence on Council, the challenge for GDC will be to ensure that the capacity and capability of residents groups is built as consistently as possible over the next 5-10 years so that we develop good processes within our neighbourhoods and villages and share learning and resources between communities in the district. To this end I have been working with Ka Pai Kaiti and representatives from other resident groups from Wainui/Okitu, Elgin, Ruatorea and Mangapapa, and GDC staff, on the idea of a 1-2 day symposium in October that will include presentations from innovative and inspiring community-led development from other centres including neighbourhoods in Whanganui, Hastings and the Bay of Plenty. I have been suggesting for some time that the residents associations in our district cooperate more and this is just one example of what I hope will be many opportunities for civil society and residents groups in Gisborne to support each other and present a strong, coherent voice to Council staff and Councillors.